The KS98 now with ‘Option C’ plug-in. THE successful multi-function controller unit KS98 from PMA has been fitted with an additional plug-in ‘Option C’ card that enables the previous range of direct connections for digital and analog signals to be extended. Available from ECEFast , up to four modules can be fitted or retrofitted in the new card. This allows up to nine thermocouple inputs, five RTD inputs or 11 analogue inputs. 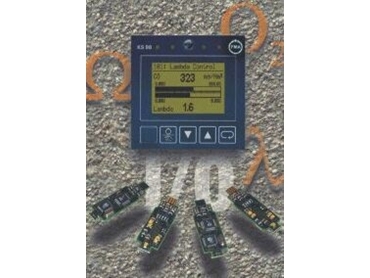 Apart from the extension with typical inputs/outputs and universal transmitters, the Option C allows the connection of special sensors, such as lambda probes for air/fuel ratios. Similarly, frequency signals (up to 20kHz) from oval disc meters, turbine counters, rotary meters and position sensors can be processed. As a result, many applications involving complex and interlinked control loops, e.g. in boiler and combustion control or the pharmaceutical industry, can now be solved completely with a single KS98, without the need for additional transmitters or a small PLC. The configuration is performed using the simple PC Engineering Tool software and downloaded to the KS98 via the front interface. Application requirements can be tested prior to commissioning using the software.